I thought I was awake; but I was deep in sleep. I was in the dim unknown; in the realm of the Devine. In the place of infinite possibilities;home of Justice and Truth. Where standethGod, Keeping watch above his own. And there was Gabriel, and Micheal the Arch-Angels. And I saw the wondrous glow of the Almighty. In united chorus, said the Archangels. “Rodney Sieh is imprisoned in your homeland”! No! It cannot be. I told the Archangels. Rodney Sieh promotes Justice and defends the Truth. He stands for transparent and accountable Liberia. He stands for free and independent press. What crime could he have possibly committed? 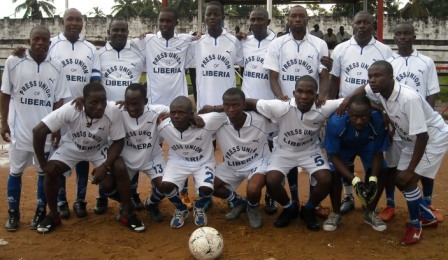 Who deserve prison sentence in Liberia. Could it be Medina Wesseh? conflictof interest and abuse of office! Could it be Matilda Parker? Who lied under oath with asset declaration! Could it be Robert Sirleah? Who is yet to account for Chevron US$10m! Could it be Chris Toe? Could it be hundreds of Government officials? Could it be Musa Bility? Implicated in the RIA money saga! Could it be Brownie Samuakai and Ellen Cockrum? Implicated in the RIA money theft! Could it be some members of the Legislature? Could it some wayward members of our judiciary? Or Could it be Ellen Johnson Sirleaf? “No it is Rodney Sieh, the Archangels retorted! imposed by Liberia justice system. imposed by Liberia’s Judiciary gone wayward. He is victim of Liberia’s corruptJustice system. The justice system of Ellen Johnson Sirleaf. The Justice system of Queen Jezebel. The Queen of clever maneuverings and wickedness. Jesus transformed the prison of fire into air-conditioned living room. God Almighty is with you! to bring to light the treacherous maneuvers of darkness. But keep it on. You are on the side of truth. You are on the side of justice. You are not alone, Rodney. God is with you. Are the ones chasing and victimizing you today.